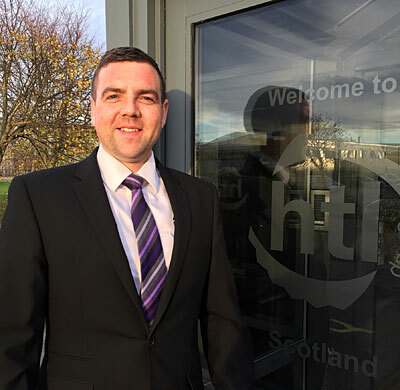 As part of HTL Group’s continued growth, HTL Group Scotland has announced the appointment of a new Business Manager, Marc Gerrard. Marc joins HTL with a very strong 22 years’ background in rentals, sales, maintenance and management within the oil and gas arena. After serving his apprenticeship as a Plant and Equipment Engineer, he progressed through various Supervisory and Managerial roles before joining EnerMech in 2008. Gerrard’s time at EnerMech began with the role of Equipment Rental Manager; which then lead to being appointed as General Manager for the Equipment, Lifting, Wire Rope and Inspection Services Business Unit. As Business Manager, he will take full responsibility of all HTL group activity in Scotland, including raising awareness of the Group portfolio locally. Traditionally, the company’s presence in Scotland was under Hire Torque Ltd, but following a recent premises relocation the company is now trading as HTL Group Scotland. Growing the entire Group offering in Aberdeen allows HTL Group to have a greater presence in Scotland, and ensures that they are able to serve the market place with their vast and continuously expanding product and service portfolio. This is yet another new and exciting appointment for HTL Group and a further sign of their commitment to meet the demands placed on them as a world class service provider. An upcoming customer event early in the New Year will officially launch HTL Group Scotland and allow customers to visit the new premises in Dyce, Aberdeen.